September marked the end of Google’s first social network, Orkut. Launched in January 2004, it had maintained tremendous popularity in Brazil for almost a decade before eventually losing ground to competitors. Despite the shutdown, some of Orkut’s content remains available as a public archive. Meanwhile, music streaming platform Google Play Music launched in Brazil in partnership with Samsung. According to ZDNet, owners of Galaxy S4, Galaxy S5, Galaxy Tab S and Galaxy Note 4 devices will be able to use the service for free for a six-month period. Those who own other Samsung devices will need to wait until November and will only get three months free, which might not be enough to woo them from the competition. In addition, the company unveiled a platform helping Brazilian voters find more about information the country’s upcoming general election and its 20,000 candidates. Google Eleições follows similar experiences in India and Germany and was made possible by the partnerships Google signed with Brazil’s Supreme Electoral Court, NGO Transparência Brasil and several media outlets. Google also took to its blog to announce the arrival of Google Street View in several Argentine cities and the inclusion of new points of interest in Mexico. Telefónica and Vivendi sealed the deal that will see the former acquire Brazilian operator GVT from the latter for $9.3 billion in cash and shares. As you may know, Telecom Italia had made a competing but lower offer. The transaction is still subject to regulatory approval. Rocket Internet’s food ordering startup HelloFood (also known as FoodPanda in other regions) made its fourth acquisition in Brazil this year to keep on boosting its market share. Purchased company Entrega Delivery was mostly present in the cities of Campinas and Belo Horizonte. Meanwhile, London-based food ordering company Just Eat merged its Brazilian property RestauranteWeb with one of the market’s strongest players, iFood. According to Tech.eu, the newly-formed joint venture will be “25% owned by Just Eat, 24.98% by the iFood founders and 50.02% by Movile“. As we reported last month, Movile recently secured $55 million in new funding, which it will partly dedicate to partnerships and acquisitions in the offline-to-online space. Brazilian e-commerce heavyweight B2W took full ownership of logistics firm Direct Express Logística, Reuters reported. Analytics and engagement company 1World acquired Mexican startup Flipter, which will now operate as 1World Latin America. Best known for its polling tools, first reviewed by TNW in 2011, the startup was previously incubated and accelerated by Cyberport Hong Kong, Start-Up Chile and Naranya Labs. 1World had recently expanded into Europe and Asia. Brazilian online security company Site Blindado acquired its main competitor TrustSign, Startupi reported. Argentine e-commerce newcomer Avenida raised an impressive amount of funding this September: $17.5 million. According to VentureBeat, Tiger Global led the round, with additional participation from Naspers. We previously listed Avenida as one of the top Latin American startups to watch out for in 2014. Brazil-based financial startup Nubank received a new $13.8 million round of funding led by Sequoia Capital, with participation from Kaszek Ventures and Berggruen Holdings, Dealbook reported. As some of you may remember, the financial blog had revealed in 2013 that Sequoia’s former partner in Brazil David Velez was launching a payment venture in Brazil – then operating under a different and less marketable name. It was also at that time that we learned Kaszek and Sequoia were backing it financially, which means it wasn’t entirely accurate to refer to this follow-on round as “Sequoia’s first Brazil investment” as some did this week. Still, it is interesting to know that Nubank now has new funding to grow its innovative offering. Its product consists of a Mastercard Platinum credit card that Brazilian users can manage from their smartphone. According to Estadão’s blog Link, it is targeted at young customers who want to handle their finances online – and could be attracted by the lower interest rates enabled by virtual operations. Another mobile-focused startup received new funding: Brazil-based Emprego Ligado. This recruitment platform for entry-level jobs raised a $7 million series A round from e.Bricks, Monashees Capital and Qualcomm Ventures, TechCrunch reported. E-Commerce News informed that urban express delivery platform Loggi had raised a R$10 million investment round (around $4 million USD) from Monashees Capital and Qualcomm Ventures. “Spanish Uber” Cabify closed a $4 million round led by previous investors Seaya Ventures and Black Vine, new Spanish tech blog Novobrief reported. This follows the $8 million round unveiled by the company last April. At the time, it announced its intention to accelerate its growth in Latin America, where it now boasts a 30% monthly growth rate. Identity management service Auth0 (read “authzero”) raised a $2.4 million seed funding round led by Bessemer Venture Partners, with participation from K9 Ventures, Portland Seed Fund, NXTP Labs and individual investors (disclosure: NXTP Labs is an investor in my startup, MonoLibre). Auth0 describes itself as a company “founded by developers for developers, with the goal of eliminating the pain of integrating authentication and authorization into apps and APIs.” Its offering has more than 8,000 subscribers, from startups to large corporations. While it is headquartered in Seattle, several of its team members are based in Argentina and its product is used in 124 countries. Brazilian B2B finance management startup Nibo raised an undisclosed amount of funding from Redpoint e.ventures and Valor Capital Group, Exame reported. Mexican P2P lending startup Kubo.financiero raised $1.7 million from Alta Ventures México y Capital Emprendedor, bringing its total funding to $3.7 million. Brazilian intelligent pricing platform Precifica received a R$3 million investment (around $1.2 million USD) from tech holding Hi Partners, E-Commerce News reported. Health and wellness portal Doutíssima raised an undisclosed amount of capital from European funds DFJ Esprit and Breega Capital. According to Startupi, it previously received backing from Telefónica’s accelerator Wayra in London and recently moved into Wayra Brasil Academy. Social media management startup Everypost raised a $850k seed round, Tech Cocktail Miami reported. Backers include San Francisco-based Handmade Ventures, Miami-based Krillion Ventures, above-mentioned NXTP Labs and angel investors from the US and Latin America. Start-Up Chile unveiled the list of 100 startups that will be part of its “11th generation” from February 2015. The government-backed program is now preparing its 12th batch, for which it received the highest number of applications to date: 2,448, a 30% increase compared to round 9’s previous record. As for Startup Brasil, it still has efforts to make to reach the same level of transparency. As a matter of fact, Brazil’s federal incentive program was several days late in announcing the list of companies that could be accelerated as part of its third edition. The program will now be managed by a third party, SOFTEX (which stands for ‘Association for the Promotion of Brazilian Software Excellence’). While this might not be enough to lure seasoned entrepreneurs back into applying for its next edition, it was also announced that IBM would make some its resources available to participating teams. Meanwhile, the city government of São Paulo created its own fostering scheme for tech startups, ZDNet reported. Called Tech Sampa, it will provide early-stage companies with funding and support to be granted in three stages, in association with the Brazilian Bank for Economic and Social Development (BNDES). World Bank’s unit IFC will invest US$97 million in Brazilian telecom carrier ON Telecom to help it build its infrastructure, Nearshore Americas reported. “ON’s team is proud to dedicate its efforts to the purpose of connecting the unconnected,” said the company’s CEO Fares Nassar. German business software company SAP plans to invest R$19 million ($8,5 million USD) in a Brazil-based cloud facility to host some of its systems and solutions, ZDNet reported. Rocket Internet is starting to make noise about its ridesharing company, Tripda, which already rolled out operations in several countries. Southeast Asia aside, it also landed in most Latin American markets: Argentina, Brazil, Chile, Colombia, Mexico and Uruguay. On a side note, Rocket Internet merged five of its global e-commerce services into one single business. As we reported, Dafiti (Latin America), Jabong (India), Lamoda (Russia and CIS), Namshi (Middle East) and Zalora (Southeast Asia and Australia) will now be known as “GFG”. French online retailer Cdiscount is gearing up to launch in Brazil, specialized media outlet LSA Conso revealed. Owned by French retail chain Casino, it already expanded into Belgium, Colombia, Ecuador, Ivory Coast and Senegal. Open online education provider Coursera is expanding into Brazil in partnership with the University of Sao Paulo (USP) and the State University of Campinas (UNICAMP), which will develop classes that will become available in early 2015. Additional partners include the Lemann Foundation, which led translations of existing MOOCs and will create new content for teachers, and online portal R7, which will promote them. Other education platforms that previously benefited from Portuguese translations and additional support provided by the Lemann foundation include Google’s YouTube Edu and Brazilian MOOC portal Veduca, which had also partnered with Brazilian universities. Brazilian-American accelerator 21212 is diversifying revenues and expanding its reach with the launch of e-learning platform for entrepreneurs 21212 Academy . In an interview with Startupi, co-founder Fred Lacerda explained that the acceleration program isn’t shutting down: “21212 will keep on operating as an accelerator, but focused on growth stage in more advanced startups, or on early-stage ones but with high potential for quick growth,” he said (translation ours). No mention was made of the fund 21212 had announced to be raising in late 2012. 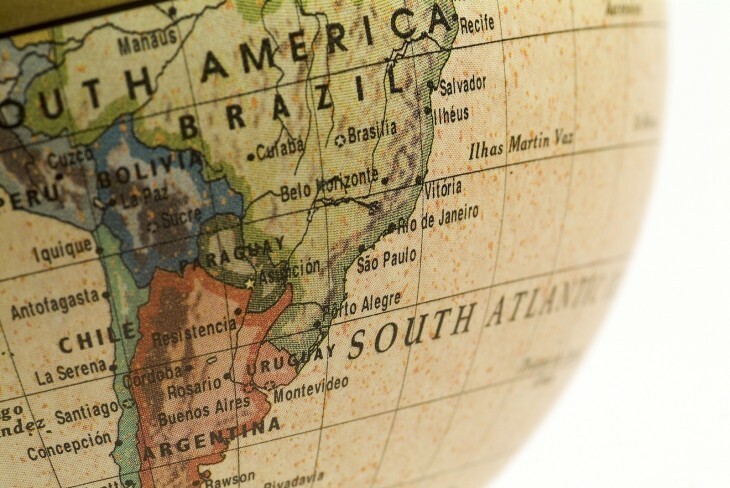 Groupon announced that Brazil would be the first Latin American country to receive some of the new services already introduced in the US this year. The first ones to land will Groupon Reserve (for restaurant bookings), Groupon Live (for show tickets) and Groupon Freebies (for retail coupons), to be followed by Groupon Pages and Gnome, both targeted at vendors. Ahead of their launch, the company already released its new app and site in Brazil, which reflect its pivot away from daily deals and into e-commerce. Online publishing platform Medium launched the beta version of “Medium em português“- Medium in Portuguese. Targeted at Brazil, it features both translations from English and local articles. Mexican startup LastRoom launched LastRoom for Business, a full travel booking and management solution targeting corporate clients, particularly SMBs interested in a wider range of accommodation options. This represents a diversification for the company, whose first product was a B2C app for same-day booking (which still exists and was recently updated), followed by a side product for event organizers. In an interesting post titled “Our Real Love are Business Travelers founder Angela Cois shared some of the reasons behind this pivot and the lessons her team learned along the way. “According to our experience, the only way to compete and to gain a significative slice of the market is to focus on a specific vertical, which in our case means focusing 100% on business travelers,” she explained. The Vatican hosted the launch of Scholas.Social, self-described as the “first online, collaborative and multi-religious platform, that seeks to connect educational institutions all over the world, regardless of race, color or religion.” The initiative, promoted by Pope Francis, received free technical contributions from Argentine listed tech company Globant, Argentine IT studio Line64 and Google. “To pull off a turnaround in Brazil, the carrier is counting on regulations and broadcast spectrum that, because of its razor-thin market share, could give it competitive advantages unavailable to major rivals. Such advantages would disappear if Nextel Brazil merges with a bigger carrier, one reason takeover talks never got off the ground despite a wave of mergers in the Brazilian market, according to two sources with direct knowledge of the situation,” it explained. The city of Buenos Aires introduced a new 3% tax to be charged on payments to online entertainment services such as Spotify and Netflix. The fee is set to be levied by credit and debit card issuers. Yahoo and its law firm are being sued by two Mexican companies for allegedly using a corrupt judge to intimidate another judge ruling on its case. Said judge reduced the $2.7 billion damages Yahoo would have had to pay to only $172,500, Reuters reported.